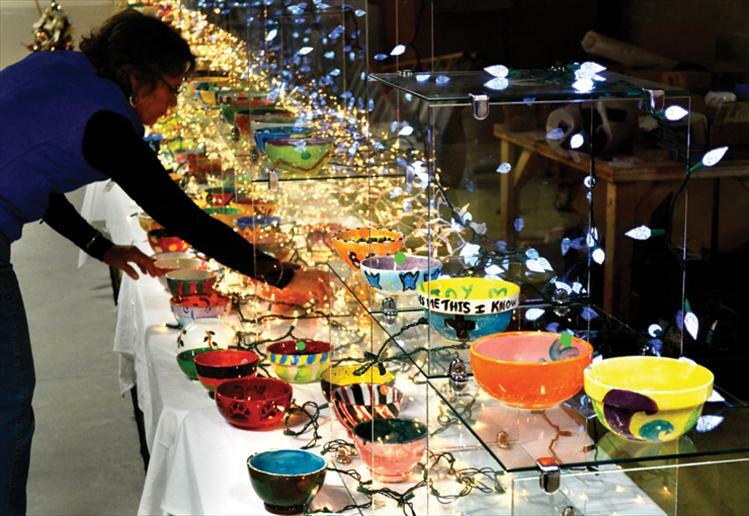 Trish Rodrique arranges colorful hand-painted bowls for sale from $5 to $20. 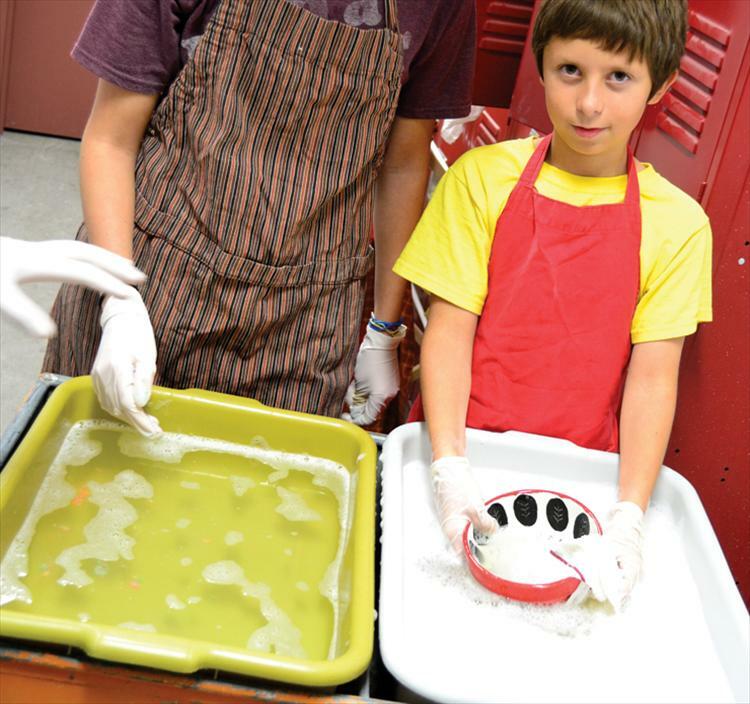 The bowls were painted by local volunteers throughout the summer, then purchased at Saturday’s fundraiser and filled with a variety of soup and chilis. Ace Lake washes bowls before they are filled with hot soup. 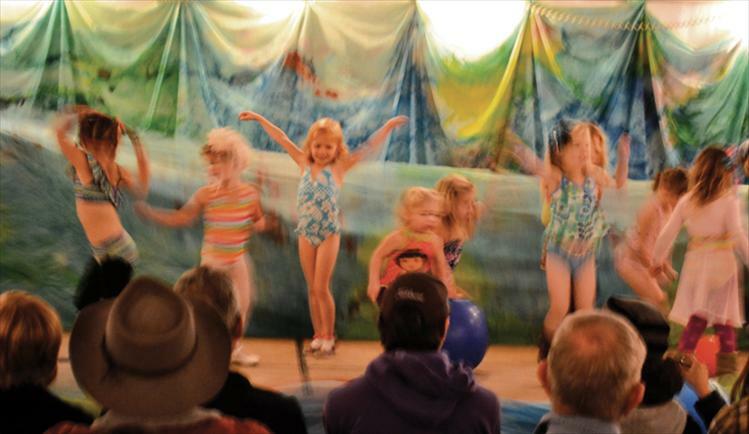 Tiny dancers become a colorful swarm of movement as they “swim” across the stage in the soup tent. The young performers take dance lessons from Julia Roberts at Mission Valley Dance. 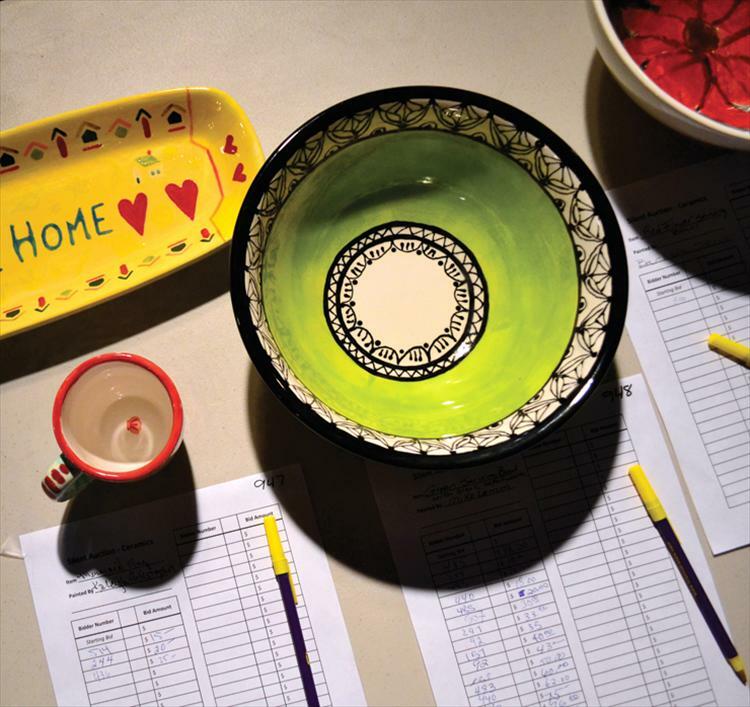 The bid list for a large ceramic bowl painted by Polson artist Edna Lemm quickly fills with increasing dollar amounts. The empty eight-lane, 25-yard pool at the Mission Valley Aquatic Center awaits additional funding to complete the project. 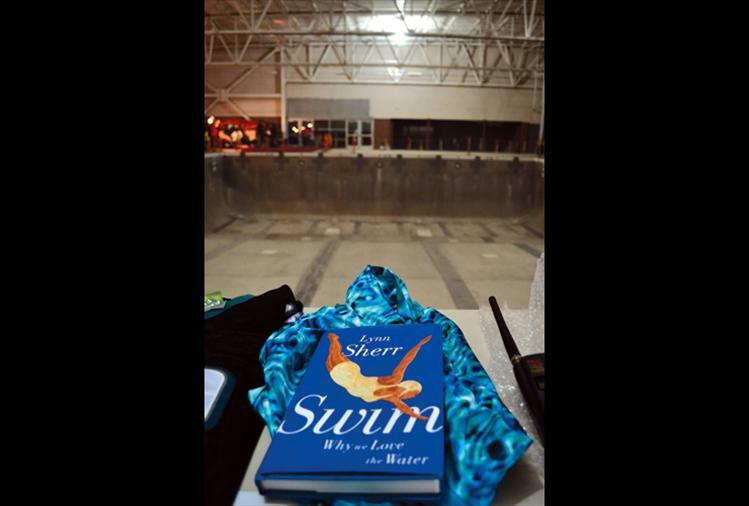 When done, the center will also house a warm-water therapy pool and party room. 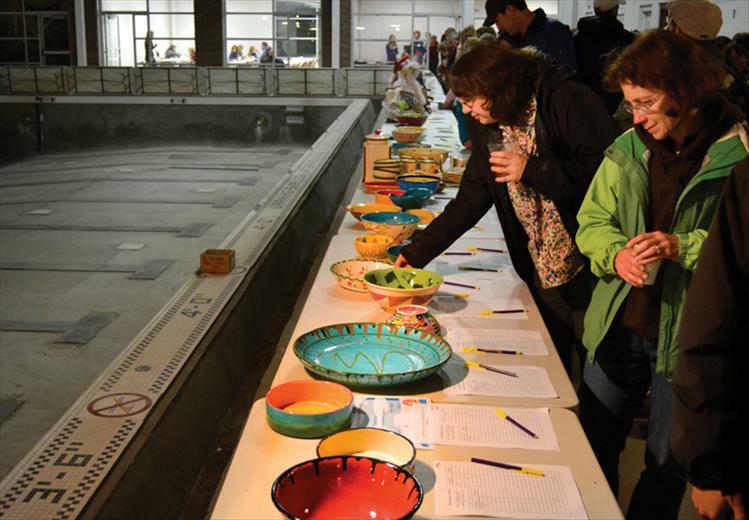 Silent auction items included platters painted by local artists and a plethora of quality items, all lined up around the empty pool inside the Mission Valley Aquatic Center in Polson. All the proceeds from the dinner, donations, silent and live auction totaled roughly $115,000, according to project director Tana Seeley.